I’m the kind of person who will find any excuse possible to sup on something bubbly – “What? My second cousin, third removed just found out she doesn’t need a root canal? That requires a celebration.” POP. Whether you’re a woman (or man) after my own heart or whether you prefer save the popping of corks for special occasions, like birthdays, Thanksgiving, Christmas or New Year, there’s one universal truth: this whole sparkling wine thing is a touch complicated. Is it Champagne? If not, what is it? And what on earth is this Prosecco that everyone is going wild about? Tip: There’s a infographic at the end – save it on your phone and nip to the loos to read it when the next bottle of bubbly is brought out! 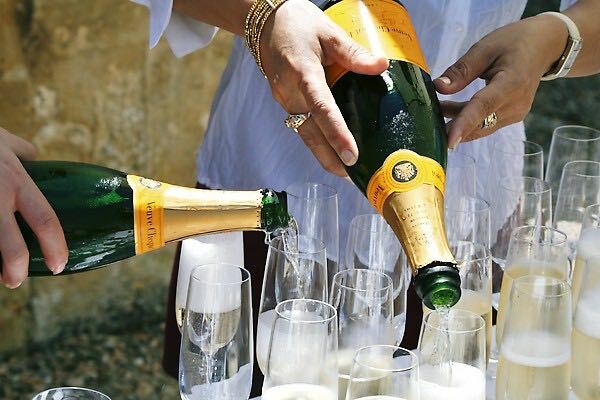 By far the most well known, Champagne is still considered the most superlative of all the sparkling wines and it can command a hefty price because of it. What makes Champagne different to all the others? The experts will tell you that it’s to do with the grapes (3 types can be used), the long, rigorously observed fermentation process (known as the traditional or Champagne method), the soil (‘terroir’) and the climate in the region where Champagne comes from (think: cold weather). Champagne is actually a region in France (only 2 hours southwest of Paris by car) and due to fierce rules about protecting the Champagne name, only sparkling wine from the Champagne region can legally carry that title. 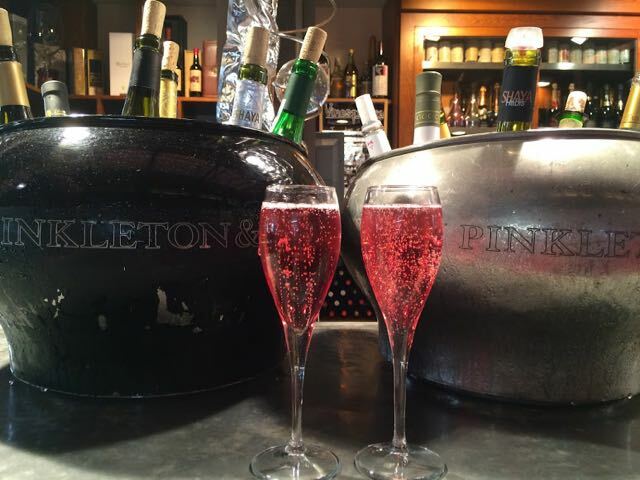 Cheat’s take-away: Champagne is sparkling wine from the Champagne region of France. “Come quickly, I’m tasting the stars” is attributed to the French monk, Dom Pérignon, on his first occasion of drinking Champagne. 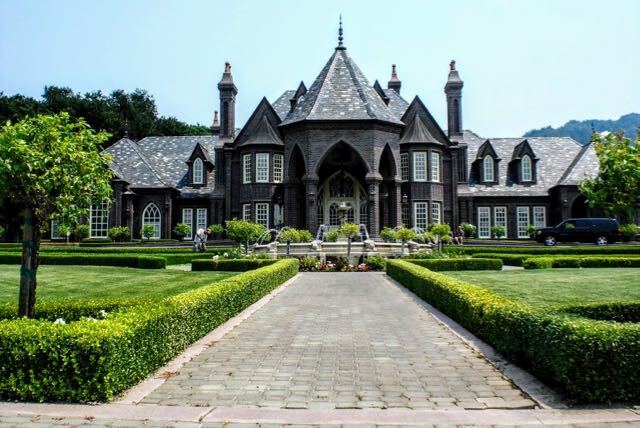 The impressive Ledson Estate I visited during a wine tasting trip in California. Prolific in North America, sparkling wine that comes out of California is often made in the same traditional method as Champagne and, although it’s considered to be a ‘new world’ sparkling wine, many of the French Champagne brands have invested in production in the region. As well as the fact that the production method in California may not be as rigorously controlled as in Champagne, the climate makes a big difference to the taste (think: warm weather). Still, you can get some great quality sparkling wine from this part of the world. Often at a much lower cost. Cheat’s take away: Californian sparkling wine is often made in the same style as Champagne and can be of the same high quality, although with a different taste due to the warmer climate. 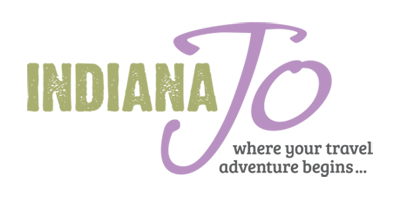 A word on grapes: When you’re buying wine, you might hone in on or even avoid a particular kind of grape (e.g. Chardonnay) because you do (or don’t) like the taste of that wine. However, it’s more complicated than that. I tend not to like Californian Chardonnay but put a Chablis or Pouilly Fumé (made from the Chardonnay grape) in front of me and I’ll most likely have a second glass. It gets even more complicated with sparkling wine because the grape varieties differ between regions, they’re often a blend of more than one grape type and the bottles aren’t always clear about what grapes and blends you’re getting. From a cheat’s perspective, you’ll be better off making a note of the brand of sparkling wines you like rather than trying to chase down a particular grape or blend. Sipping Prosecco while overlooking the vineyards in Prosecco. One of my favourite trips. About a decade ago, Prosecco was barely known to your average sparkling wine drinker but this Italian drink has had such a surge in popularity in recent years that you’ll find at least one trend-obsessed drinker at every party, nose in the air declaring they do, ‘in fact, prefer Prosecco to Champagne’. That may be so and good Prosecco can taste very good. Unfortunately, most of the Prosecco we consume outside Italy isn’t good Prosecco. How can you tell between a good and bad bottle of Prosecco? Like Champagne, Prosecco is from a specific region in Italy (just over an hour from Venice). However, unlike Champagne, the name isn’t protected. So, any sparkling wine made in Italy from the ‘Prosecco’ grape (the Gleera grape) can be labelled Prosecco even if it’s made hundreds of miles away from the region. To get hold of the good stuff, make sure you buy Prosecco labelled DOGC or DOC (basically, a mark indicating quality). Also look for the names Conegliano and Valdobbiadene (two of the main towns in the Prosecco region). 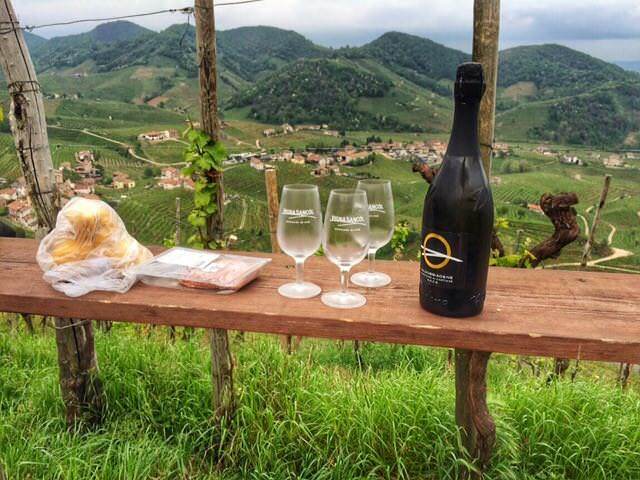 Cheat’s take-away: Prosecco is sparkling wine produced in the Prosecco region of Italy with DOGC and DOC Proesccos offering the best quality. Prosecco does not use the traditional Champagne method of production. 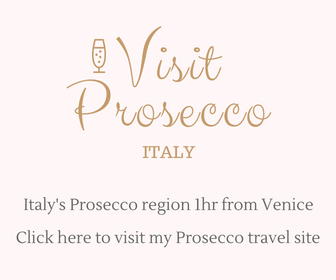 To find out more about Prosecco (and see some pictures of the Prosecco region from my visit), check out my related article. 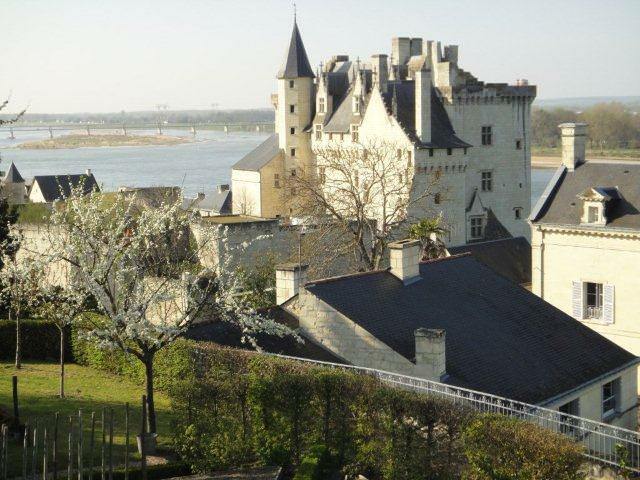 Montsoreau chateau in the Loire Valley in France, home to some of France’s best value Crémant. Not many people have heard of Crémant, which is a shame because I’d put this French sparkling wine second in line after Champagne in terms of quality. In fact, Crémant is the terms used for sparkling wine made in France, outside the Champagne region. As it is made to the same exacting standards as Champagne, you can almost guarantee you’re going to get an excellent bottle of sparkling wine if it comes with the word Crémant on the label. There are eight regions in France that product Crémant but the biggest region (and my favourite) is the Loire Valley crémant. Cheat’s take-away: Crémant is a French sparkling wine produced in eight regions in France. Although it’s not Champagne, it’s produced under strict standards that result in a great quality sparkling wine. You can read here about my time living in a cave (yes, a cave) in the Loire Valley region of France. Caves are cold. Much Crémant was consumed. Vastly underrated sparkling wine – these glasses cost just a couple of euros each in the famous Mercado de San Miguel, Madrid. Cava is a vastly underrated sparkling wine in my view. Within Europe (but outside Spain), people would tend to buy Cava as a bottle of cheap fizz without really appreciating the quality of what they’re getting for their money. Also made with the same method as Champagne (but with a few machine-based shortcuts that help keep the cost per bottle lower), Cava is produced in six regions in Spain and must follow the specific traditional method. Cheat’s take-away: Cava is Spanish sparkling wine made in the same style as Champagne and is often underrated in terms of taste and quality. Brut is the driest of the three and contains less than 15 grams of sugar. You can also get brut nature (no sugar) and extra brut. Most sparkling wine you come across will be Brut. Sec means dry and contains 17 to 35 grams of sugar. You can also get extra dry or extra sec, which is drier again but still not quite Brut. Demi-sec contains 35 to 55 grams of sugar and is the sweetest of the three, but still considered ‘half dry’ rather than sweet. Champagne, Cava, Prosecco and Crémant are not the beginning, middle and end of sparkling wine. There are many others to try: Sekt comes from Germany, for example. You’ll also find local sparkling wines around the world – Canada, South Africa, Chile and even England can offer you up a bottle of something sparkling to try. The best advice: try, try and try again until you find the one you like! 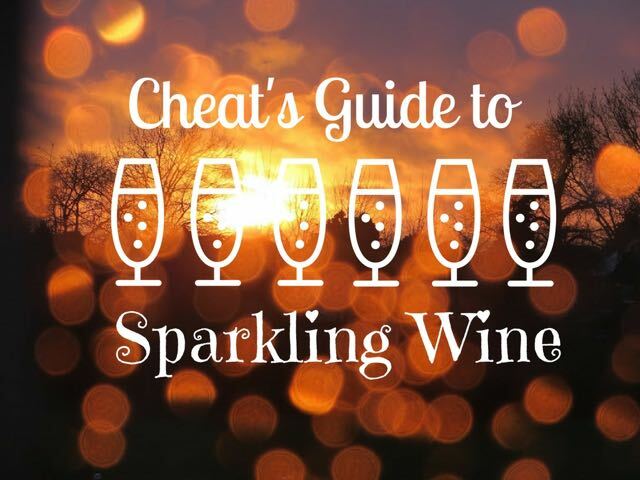 And if you want a much more detailed guide to sparkling wine, you can find it here. So, that’s my cheat’s 5-minute guide to sparkling wine. Did I miss anything? Any sparkling wine recommendations (or awkward wine serving stories! ), let me know in the comments below.